For an added treat, mix a couple tablespoons of diced onions, diced jalapeños, or corn—or a little of all three. Six 10-oz. 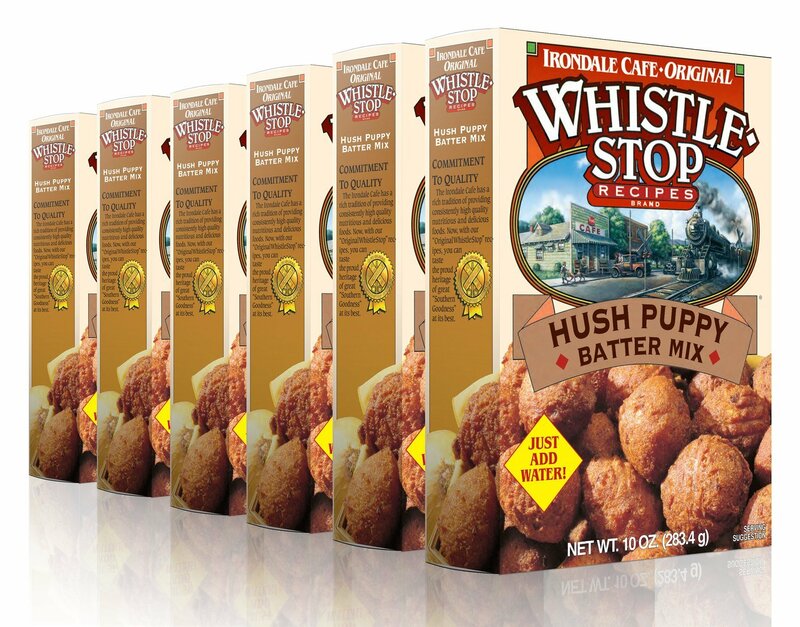 boxes of our Hush Puppy Batter Mix, the WhistleStop Hush Puppy batter mix is a simple, but exceptionally delicious product. This recipe makes great hush puppies, with included directions to make variations on this traditional, Southern delight. Keep plenty of this Batter Mix on hand. You never know when family and friends may drop by and you'll want to serve up some down home and delicious Hush Puppys from the WhistleStop Cafe.